In 1937, Disney released its first full-length animated feature film, Snow White and the Seven Dwarfs, created entirely using traditional, hand-drawn animation. Production lasted nearly five years and roughly two million sketches were created for the process, with the final film consisting of about 166,000 of those drawings. Snow White was quite the feat for Disney, and the completion and success of the film established the studio's longstanding reputation for creating beloved animated pieces. It is a legacy that continues to exist today. Two million hand-drawn frames between conception and completion requires an incredible amount of resources on the studio's behalf — resources that Disney surely does not lack. However, Disney has turned away from 2D traditional animation in recent years, with no plans to go back. 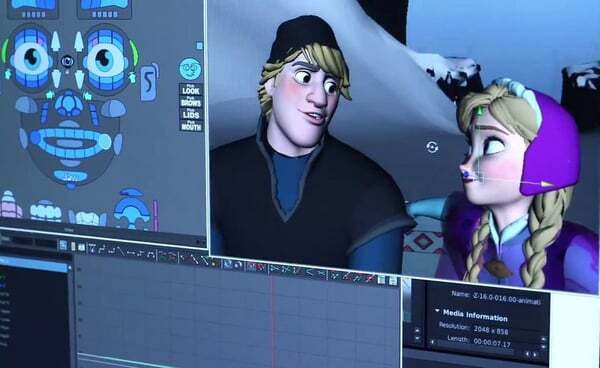 The studio recognizes the draw to three-dimensional animations, as seen with several of their latest major studio successes in recent years, including Tangled (2010), Frozen (2013) and Moana (2016). All major box office hits, and all created using 3D computer-animation. One of the more interesting concepts is the crossover between live action footage and animation of many beloved stories, which was an idea first introduced in the Technicolor musical Anchors Aweigh (1945). In the film, Gene Kelly's character does an entire dance routine seamlessly with the Hanna-Barbera character Jerry Mouse. When this kind of crossover happens, filmmakers seem to be careful in portraying precious characters, as not to taint their image. Think of Stuart Little (1999) or the modern Alvin and the Chipmunks series. Though non-Disney productions, each studio was certain to keep beloved characters as we imagine them; thus, the very specific 'live action/computer animated' genre has erupted. Having the freedom to mix live action and animation allows the film to be far more ambitious with, say, a skateboarding mouse, or even one that actuallydances with Gene Kelly. In 2013, the idea to reimagine Disney's The Jungle Book became a reality when later that same year, Jon Favreau was announced as the film's director. The film did not follow with the same computer-animated technology the other films have used — instead, The Jungle Book opted to incorporate CGI with its live action. Three-dimensional imagery has been used in cinema since as early as the 70s, but what made Favreau's film so fascinating was that nearly all of it was computer generated imagery, which is an art that is far different from traditional or computer animation. To put the difference simply: animation is attained by using hand drawn sketches, stop motion, pin screens, or clay; CGI involves key-frame animation (the creation of smooth transitions), simulated dynamics (modeling behavior of a system), and motion capture. The Jungle Book was particularly interesting, because Neel Sethi (who played the main character Mowgli) was almost always alone on set. And his set was far different from the finished product we see on screen — Sethi's set was a warehouse in Los Angeles with almost no props. The Jungle Book wasn't the first and certainly will not be the last film to accommodate both live action and CGI into production. Earlier this year, Disney's reimagined Beauty and the Beast made history as the highest grossing film of 2017, and the tenth highest grossing film of all time. 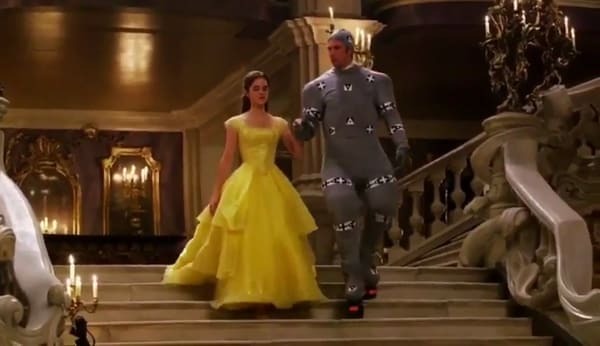 Similarly, much of the movie is filmed with Emma Watson's character Belle solely alongside the various tools needed for CGI work. Though Belle and the townspeople were filmed live, nearly every character in the castle had to be added post-production. The CGI craze is fascinating in that the process still requires an incredible amount of time and large budgets in order to fulfill the vision. Thus, it doesn't quite seem that CGI is preferred to hand-drawn animation due to access or ease. In fact, compared to Snow White's five year schedule, production took both The Jungle Bookand Beauty and the Beast about three years from beginning to end. Perhaps the move, then, with these reimagined stories is the draw to more realistic products. The stories have become deeper (Belle's mother, for example, is now given her own backstory), making the films and characters far more relatable. The personal touch of the realism gives these works a chance for more compelling visuals and deeper plots. Favreau is already working on his next project: reimagining The Lion King, a live action remake of Disney's 1994 animated film, which is set to release in 2019. The appearance and continued production of live action/CGI is not to say that hand-drawn animation is dead, but one thing is for sure: CGI incorporation is here to stay.